I know all my fashion forward patients will hate me for this…but shoe type is also important to prevent car accidents, not just foot pain. According to a recent report by the National Highway Traffic Safety Administration, improper footwear worn while driving contributes to approximately 16,000 preventable pedal-error crashes each year. Flip-flops, heavy boots and high heels have been among the primary causes of such incidents, according to the study, which suggests that drivers wear flat-soled or lightweight shoes whenever they’re behind the wheel. The link below will give you more information regarding proper footwear. If you have been in a car accident or know someone who has please send them to our office for care. 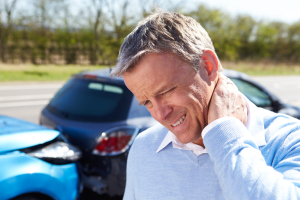 Chiropractic care is a very important part of the healing process for patients who are injured in car accidents. We will create a tailored, individualized treatment plan and schedule to promote healing, increase mobility and reduce pain. Are you worried about payment? No insurance? No problem. Car accident insurance and car accident attorney liens are accepted. Many times you will not be billed for car accident injury until your case is settled.